So, how does it work? If you've ever had a gel manicure in a salon, you'll know the drill. The first step, after you clean your nails, is to brush on the Prep solution, a watery liquid that evaporates straight away. Then, it's time to start applying gel, in the from of the Structure base coat, followed by two coats of colour, and one coat of Brilliance top coat. In between each coat, you cure the polish under the LED light for 45 seconds at a time. Lastly, you clean your nails with the Purify cleanser. It's very easy to use as the gel applies like normal nail polish, but it's slightly thicker. Read the instructions! I didn't, and was thrown by the fact that my nails were still sticky in between each coat after being cured by the lamp. I thought they should be dry, and thought that I hadn't cured them for long enough, or that I had applied the polish too thickly. Doh. In fact, this is normal. They'll be sticky until you clean them with the Purify cleanser at the end. Stay well away from your cuticles. If you get the polish on your cuticles, your manicure will begin to lift around the edges much more quickly than it otherwise would. I read online that you could use normal nail polish for your colour, once you used the base coat and top coat. I tried it, it doesn't work. It is possible that other brands of gel polish will work with this lamp but I haven't investigated fully yet. Cure your thumbs separately so you can lay them flat under the lamp. Don't pick it off (I must admit that I need to practice what I preach here). Red Carpet Manicure sell all of the products separately (or in different kits) but once your supplies start to run out, some of them are interchangable with other brand's products, eg. I just bought generic acetone remover and post-application remover in a salon supply place - they were much better value than the RCM products. Of course you could just use any cuticle oil as well. So, is it any good? Does it last the full two weeks? Is it worth the €95 that the kit costs? Well, on me, the polish starts to chip and lift after about a week. However, my nails are in bad condition, my day job is very hard on them, and even professionally applied gel manicures do not last the course on me. Normal nail polish lasts a matter of hours. So, I'm delighted to get a week out of a manicure. I love it for holidays, weekends away and special occasions. Is it worth the cost? If you get shellac manicures on a regular basis, and you are confident that you could recreate them at home yourself, then yes. You would make back the cost of this kit in less than five manicures. One of the draw backs is that you just get one colour with the kit, but other colours are available from Cloud 10 Beauty, Debenhams, ASOS and some pharmacies, with an average price of around €13 which is not outrageous. It's also worth pointing out that Red Carpet Manicure do a 'Starter Set' which costs €65 and comes with a smaller lamp that has a slightly longer cure time, but otherwise is the same as the 'Pro Kit' . 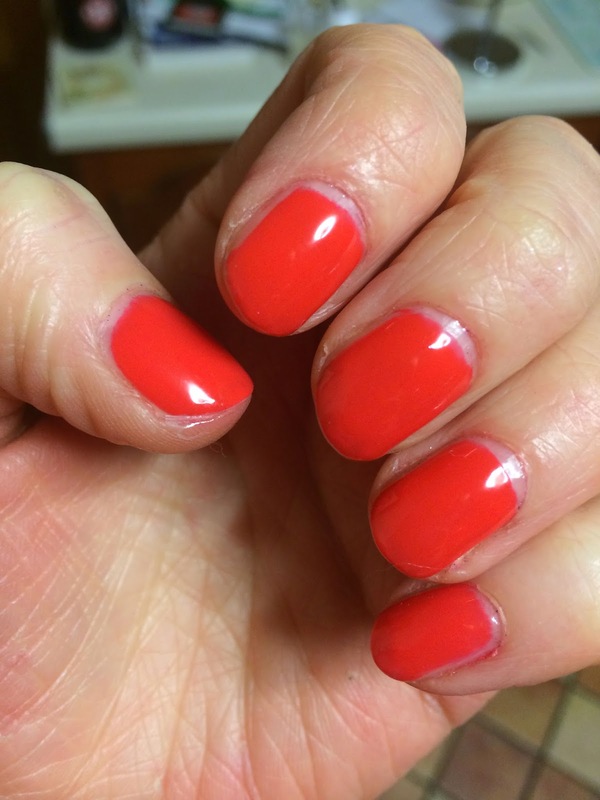 Do you do DIY gel manicures? Would love a heads up on other brand's gel colours that will also work with this lamp!